Ever wondered how your dishwasher works? Once you close that door and hear the water starting up it can all seem a bit of a mystery. We have debunked the myths and provided a step by step guide as to what happens behind the door of this mysterious appliance. Firstly, water is added to the basin at the bottom inside the appliance. 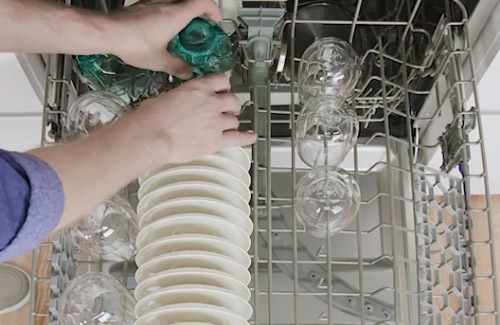 A pre-wash sprays the dishes using the spray arms that rotate inside the appliance. The internal heater heats the water to the correct temperature for your selected programme. The detergent is released into the appliance by the timer. The hot water and detergent are sprayed by the rotating arms around the dishwasher, cleaning off dirt and debris. The dirty water is drained away. Fresh water is added to rinse the dishes. The rinse water is drained and the dishes are dried using residual heat inside the appliance. After the cold water is pumped into the dishwasher, the heating element inside the appliance will heat the water to the set temperature for the programme selected. There is residual hot air inside the dishwasher after the wash cycle has finished. This helps to dry any water droplets left on the crockery and glassware inside the appliance. 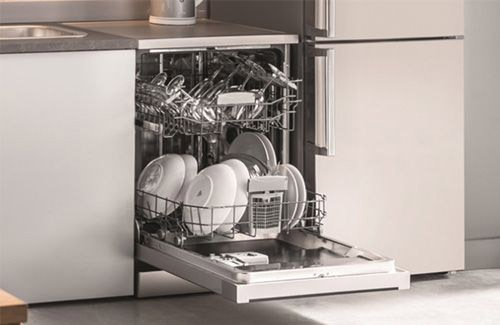 Our ZWM628W freestanding dishwasher features a Turbo Dry function which has an additional fan inside to circulate the residual hot air around the internal cavity and speed up the drying process. 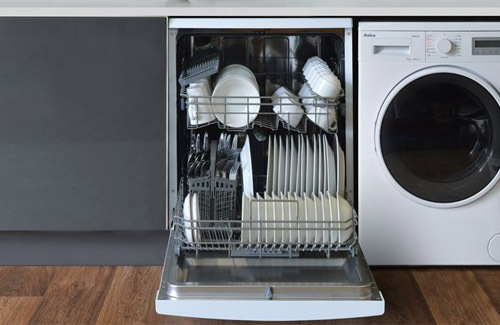 Dishwasher salt softens the water so that the detergent works more efficiently. It specifically targets the elements that cause limescale; calcium and magnesium. 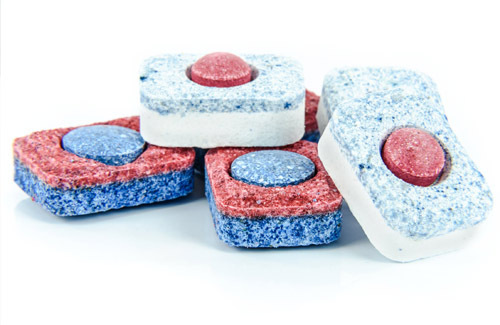 Without dishwasher salt items may come out of the wash streaked and with a ‘gritty’ feel to them. Dishwashers may build up levels of dirt over time that could cause them to smell unpleasant. A regular clean by running the dishwasher empty and throwing in a cup of white vinegar when it reaches the rinse cycle, will remedy this. It is worth ensuring that your filter is regularly cleaned to eliminate any food debris build up.